I have the perfect wonderland for all of your glasses needs! I don’t wear my glasses every day, I’m more of a contact lens girl, but sometimes I do like to change things up. I recently found out about glassesshop.com and I have sworn by it since. 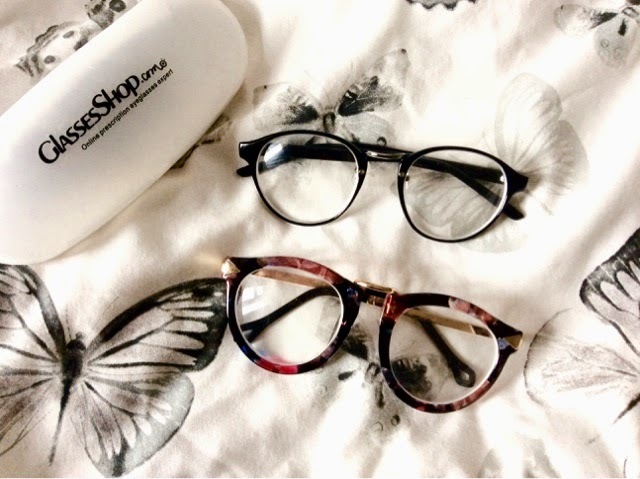 Everything is definitely value for money because you can get fashionable frames for half the price of your opticians! They don’t only just do prescription lenses, you can also buy pairs without prescription lenses just for fashion. They have all types of lenses for all your needs, from coloured tint lenses to bifocal and even sunglasses! I have bought two pairs of glasses from them, both in the similar round style but they have lot’s of other fashionable frames too. They’re an American site, but with a worldwide shipping option for an added price. If you don’t mind waiting a little longer for them to arrive, it’s definitely worth it! Both of my pairs took less than 2 weeks to arrive, although to be honest with you I was expecting them to take longer! If you’re a glasses wear, prescription or not, I would definitely recommend you take a look around their site. I have been more than happy with both pairs I have purchased from them, and will continue shopping with them for the foreseeable future! Have you ever used Glasses Shop before? What do you think of them? p.s this post is not sponsored or endorsed in any way, I just love what I’ve found and wanted to share! I’d definitely recommend them 🙂 You’re very welcome.